Have you written a timely piece or a touching poem? Maybe your work is a humorous look at the world. If so, Redwood Writers invites you to come read your work aloud at an RW Open Mic session. and writers in a friendly setting. Think you may be nervous about reading aloud before a group? These Open Mic events may be the best way to conquer those nerves. And when you come, bring a friend. They may read aloud too if they wish. We love to share the fun and entertainment. The Open Mics are not restricted to RW members only. Have you seen the flyers with our Featured Readers for the Open Mics? They open each session with longer readings in which share their work. Are you wondering how to become a featured reader? 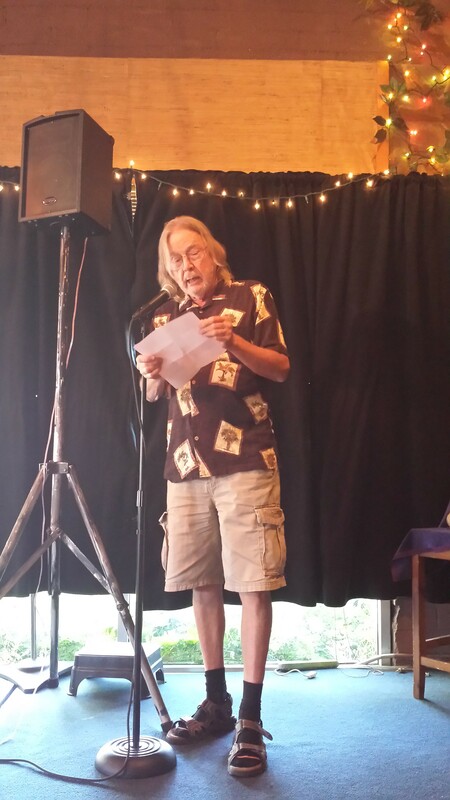 The best way to introduce yourself to us is to start participating in the RW Open Mic events. The dates for the next four RW Open Mics are August 22, September 26, October 24 and November 28. 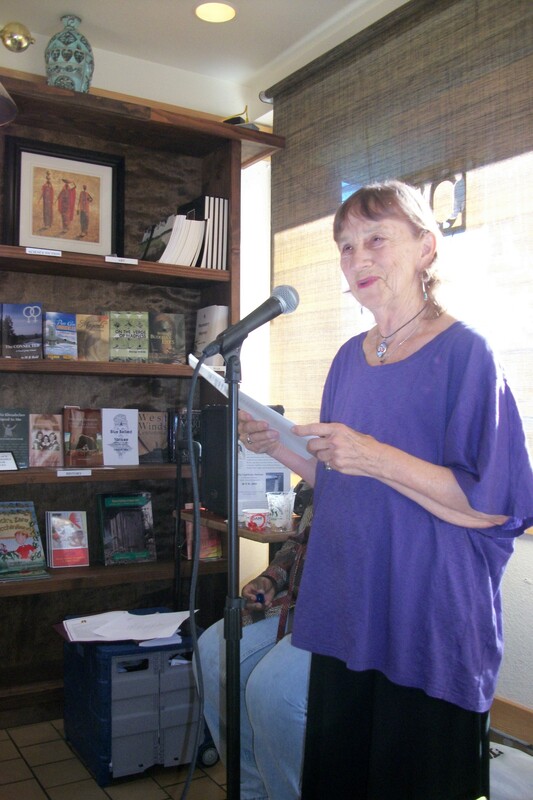 The featured readers for August will be Jeane Slone and Billie Peyton Settles. 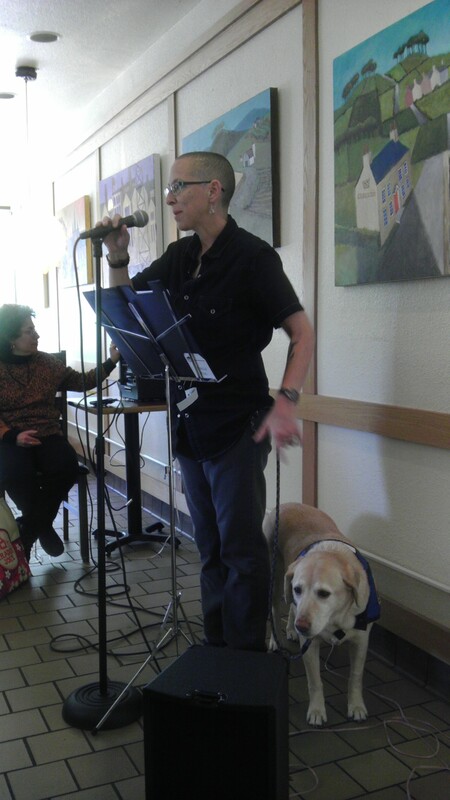 We rotate the MC for the RW Open Mics between Abby Bologmolny, Dmitri Morningstar and myself. We will all be happy to have you join us! This entry was posted in authors, poets, reading, Redwood Writers, Uncategorized, Writers and tagged authors, poets, reading, stories, writers. Bookmark the permalink. Probably about time for me to do Open Mic again! My daughter is coming home….so I maybe busy. One of those short visits between tours! Arlene, enjoy your time with Shelley! We’ll catch you later. Where are they traveling next? If I was nearby I’d pop on over! It would be great if you could join us sometime, Jackie! If you ever plan a Wine Country vacation in Northern California, (Sonoma County) stop on by one of our 4th Saturday RW Open Mics. Like we said, ALL WRITERS & POETS WELCOME! It’s more reason than ever to visit that lovely part of the country! Duly noted, thanks! But wait until our drought is over!